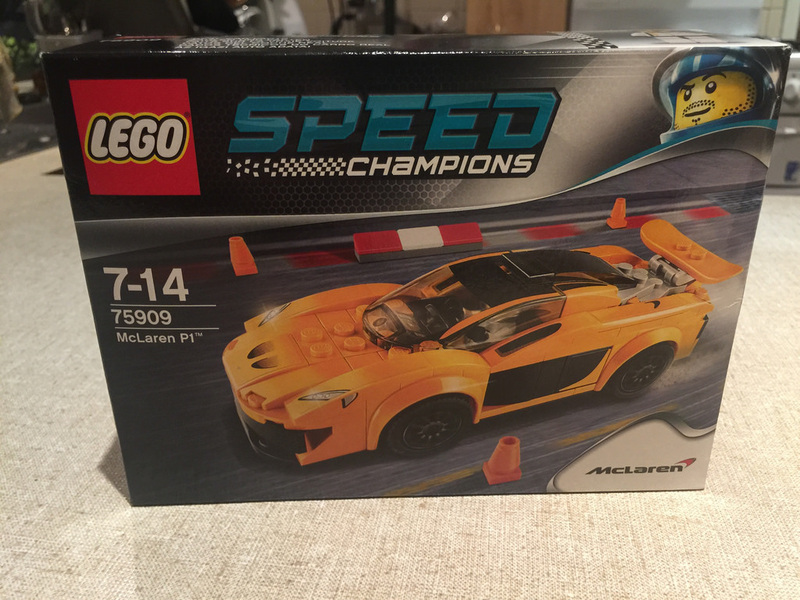 I’m a big car fan, so seeing the release of Speed Champions earlier this year was really exciting. 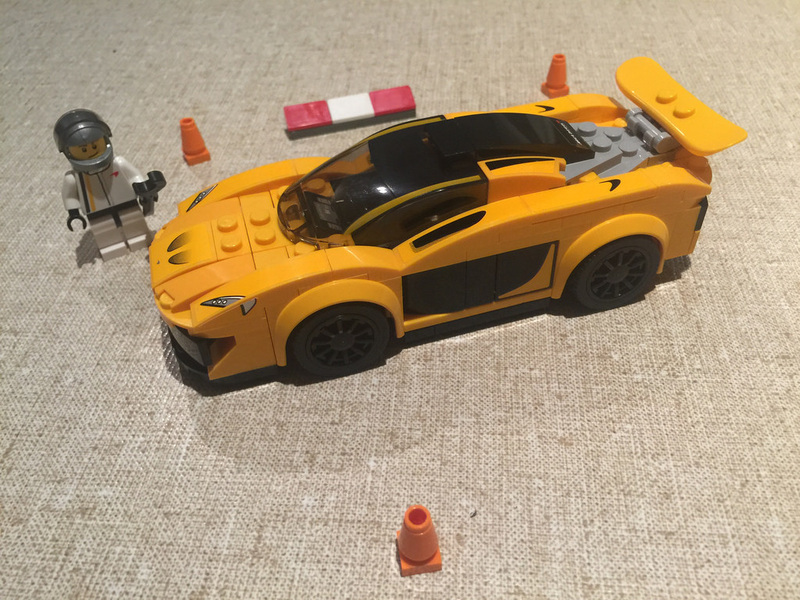 My first set from this theme is the McLaren P1. I think it’s one of the nicest looking cars in the theme, but the theme in itself looks spectacular. As far as the real car goes, it’s a beauty, and a hybrid. It boasts a 3.8L twin-turbo V8 petrol engine, delivering 542 kW (727 bhp) and 719 Nm of torque. It’s a monster that will see you get to 100 km/h in 2.8 seconds, maxing out at just shy of a blistering 350 km/h. But enough of the real car, let’s take a look at the set. Out of the box you’ll get four bags of parts, two instruction manuals and a sticker sheet with a whopping 18 stickers. 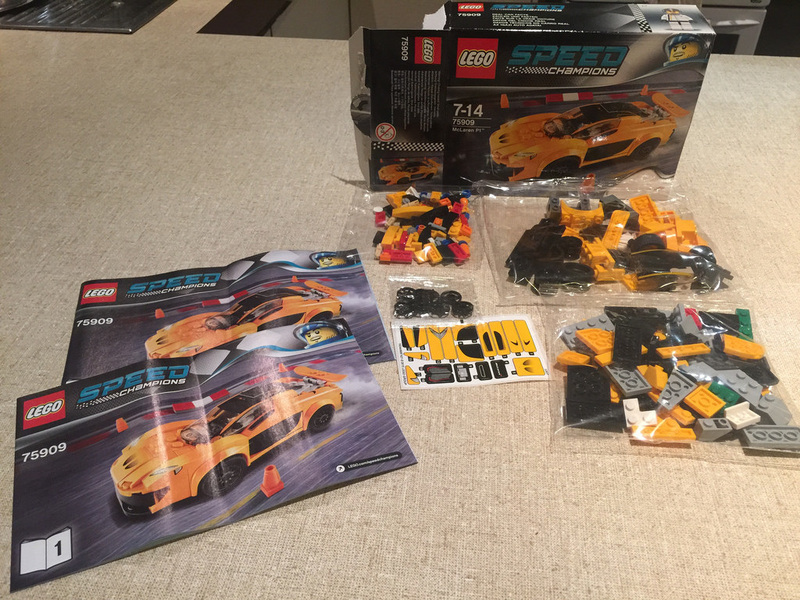 If you’re buying Speed Champions sets, get ready for Death by Stickers. Thanks to being a new theme, there’s a plethora of parts that are new, as well as a number of parts in a new colour – Fl. Yell-Ora (Flouro Yellow Orange maybe?). There is a new mudguard element, and a new printed windscreen. There’s also the 2x3x1 stepup brick, which has also been used in a couple of this year’s Legends of Chima sets. Other parts in this set are not new, but are to this colour. I like the look of the new mudguard element, but I do wonder why they deviated from the old one (50745). 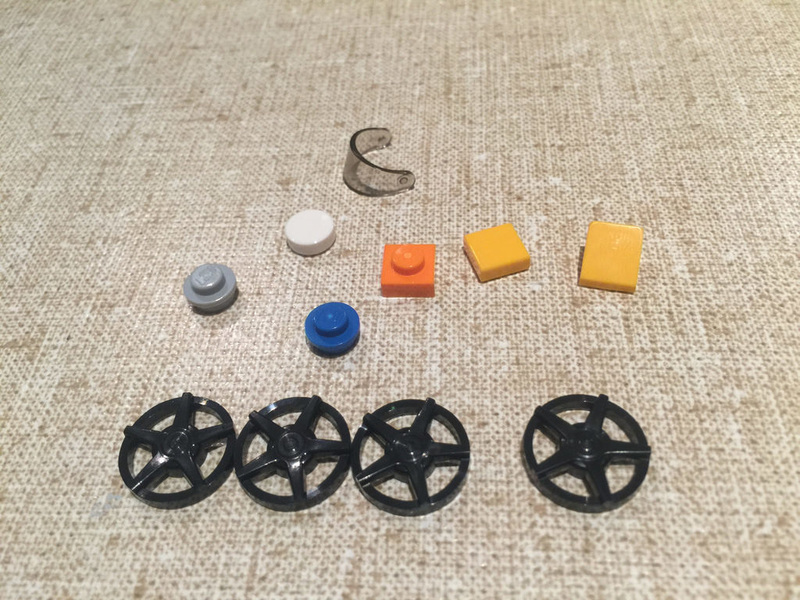 Also new to the Speed Champions theme in general are a few more parts, including the axle, and the rims and tyres, which have 2 different black hub cap varieties in 12 and 5 spokes. They look quite effective, and stay on the model quite well. I really like the use of a snowboard for the rear spoiler. It was one of the reasons I bought this set! 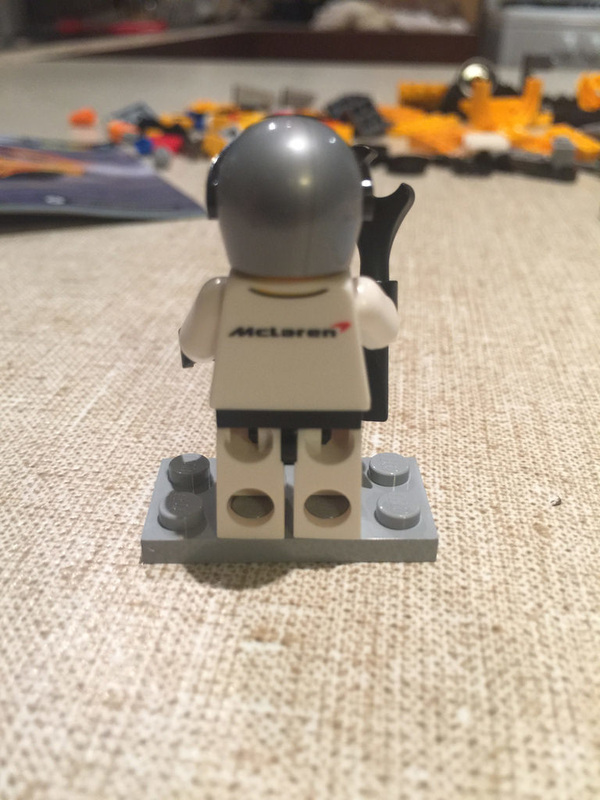 The minifigure is wearing a McLaren branded race suit with a silver helmet. There’s printing on the back as well, with the McLaren logo. Aside from the extra hub caps, the spares are pretty ordinary. You can never have too many visors though, they tend to fly off at the worst times, never to be seen again. Buildwise, there isn’t all that much to it. there’s some good SNOT techniques for the doors. The reason I like this build more than the other cars is the distinct lack of visible studs. It makes the car look much more streamlined. As well as the car, there’s also a section of kerb and three traffic cones. Just fun little additions to the set. 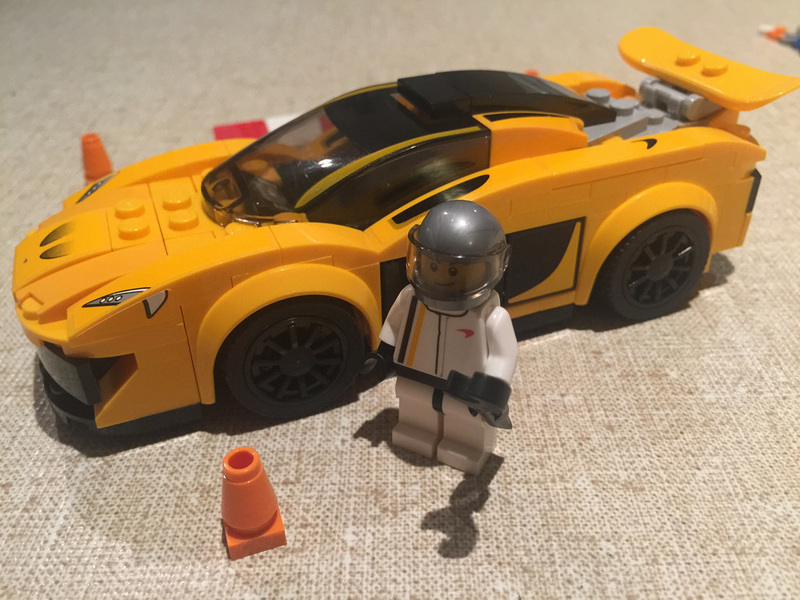 Obviously the nice smooth curves of the real car are a little hard to replicate in the LEGO model, but they’ve given it their best shot. It is a little boxy, but they have done what they can. 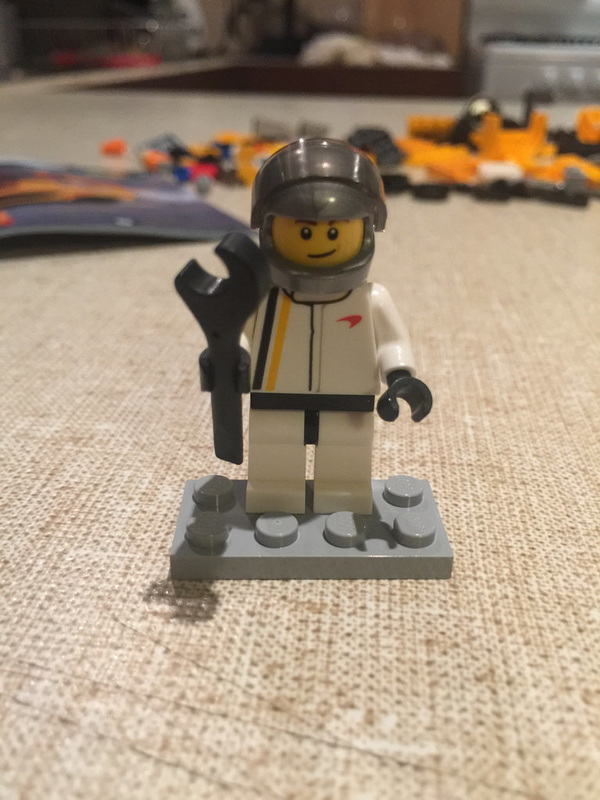 Overall, it’s a pretty cool set to have. A great colour, some hinting of curves, and definite playability means it’s a great set to get, and pretty cheap at $15. It’s also a great chance to get some nice parts, including the new wheelsets. The stickers are always a bit of a downer, but with race cars, there are bound to be stickers-a-plenty. This set gets 8 out of 10 traffic cones. Less stickers, a bit more of a sleeker finish, and maybe a little wider wheelbase would get it higher. Next review – it’s a little one for a change! 60041: Crook Pursuit. Don’t forget to leave a comment below and like BricktasticBlog on Facebook!